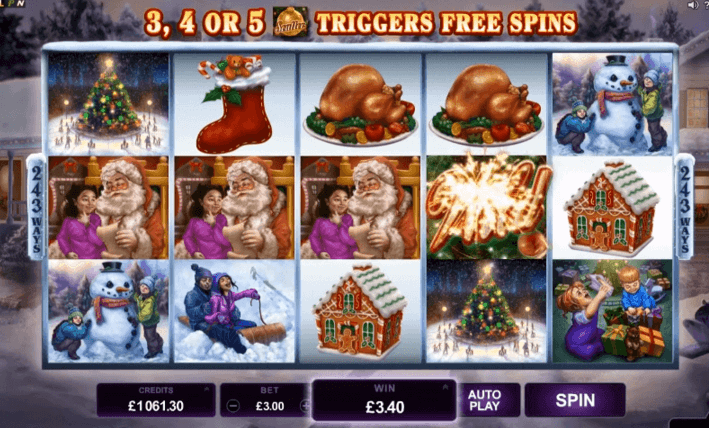 Happy Holidays is a Microgaming powered 5 x 3 Reel, 243-Ways game that embodies the warmth of the most celebrated Holiday of all time. The winnings are epic; up to 88 000, and offers an exhilarating transformation into 1024 Ways in Free Spins mode, awarding players 10 Free Spins! There is also the Frosty Feature, which awards Cash Prizes.